Budapest is the capital of Hungary, and the largest city in the EU. The city has a rich history, including being one of the centers of Renaissance humanist culture in the 15th century. 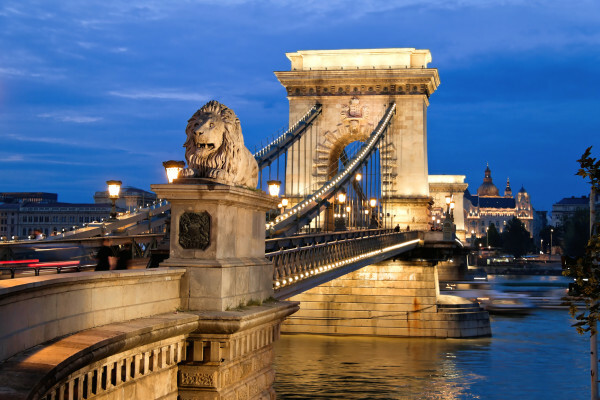 Budapest is filled with art, music, theatre and dance. Plan your travels around one of the numerous outdoor festivals such as the Sziget Festival – the largest outdoor music festival in Europe – and the Hungarian Folk Dance Ensembles held throughout the year. For an incredible street food experience, make sure to visit the Bors Gasztrobar. They offer sandwiches, hot and cold soups, and drinks. They have a wide selection that is sure to please nearly any palate. Particularly refreshing is their signature basil-infused apple drink – perfect for a warm day.